Moore Industries-Pacific announces that its SSX and SST family of safety isolators and splitters have been approved by exida for use in a Safety Instrumented System (SIS) up to SIL 3 in monitor mode, where only the input circuit is part of the safety function. The latest in Moore Industries’ FS Functional Safety Series to receive SIL 3 approval, the SSX and SST join the STA Safety Trip Alarm. 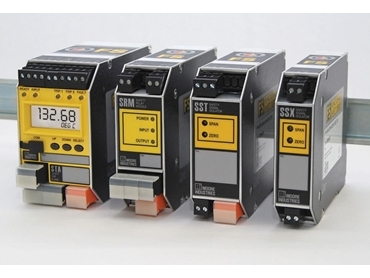 The SSX and SST are also approved for single use in an SIS up to SIL 2, as are the SRM safety relay modules. Forming the core of Moore Industries’ growing line of safety-related instrumentation, these three products have been designed and built to strict IEC 61508 standards, ensuring safe and reliable function, particularly in environments where hazardous or emergency situations are likely to occur. Detailed FMEDA reports are also available for all FS Functional Safety Series products. Although using Proven In Use data is an acceptable approach per the IEC 61508 standard, designing instruments in accordance with the standard from the ground up forces the components and circuit design to undergo additional scrutiny to ensure the highest level of reliability. Leading third-party safety auditing firm exida audits Moore Industries products and processes to ensure they are in compliance with the IEC 61508 standard. With this certification, end users can rely on FS Functional Safety Series instruments to perform to expectation.